There are many reasons for Diors success because he understood the sense of style and he knew what women should be wearing. 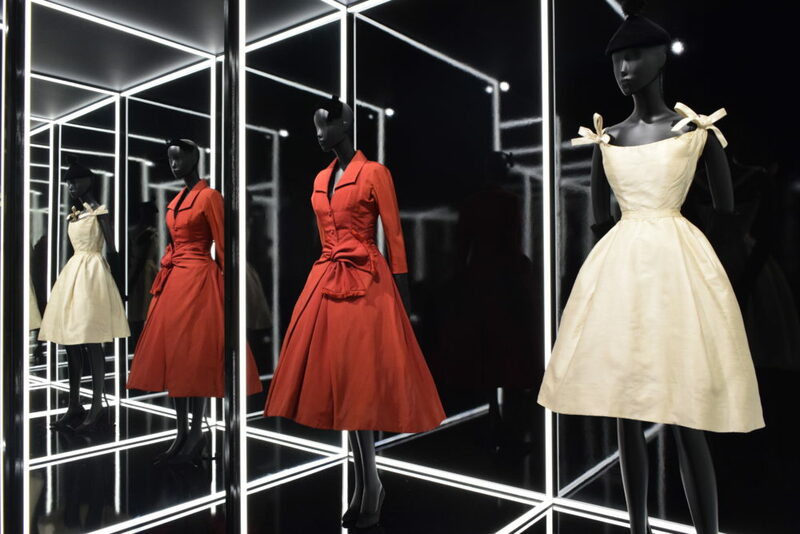 He created the iconic “THE NEW LOOK” in 1947, a new style and silhouette that is still worn today. 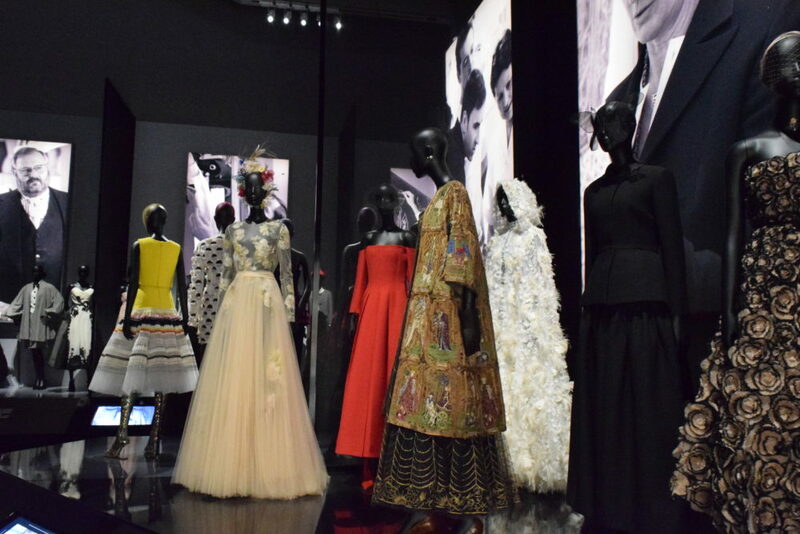 He defined an era of fashion which lead to the House of Dior still being one of the most prestigious fashion brands to date. 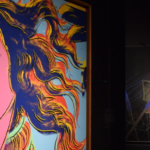 After a huge demand in Paris, where the exhibition took place at first in 2017 at the Musée des Arts Décoratifs, now it is on display in London. He once said : “There is no other country in the world, besides my own, whose way of life I like so much”. 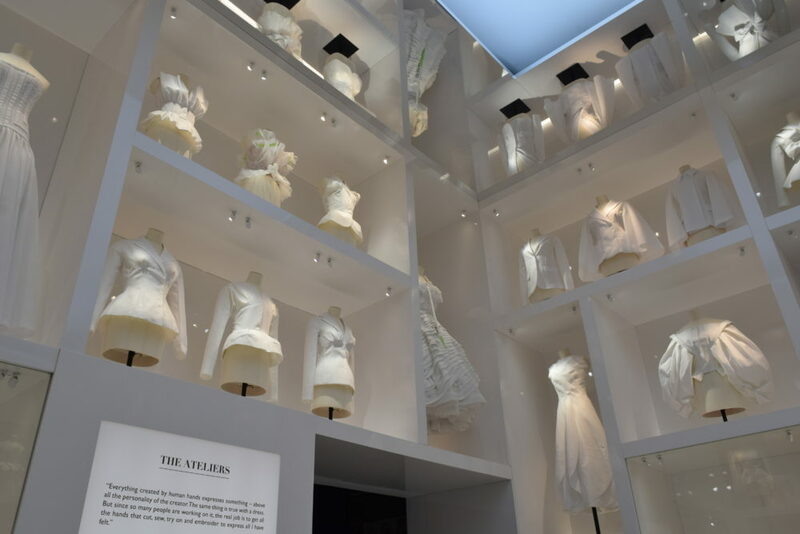 Mr. DIOR was referring to the British culture and so it actually was a no brainer bringing the exhibition to London. The huge demand goes on – all tickets have sold out within 3 weeks – but there is no need for being depressed. 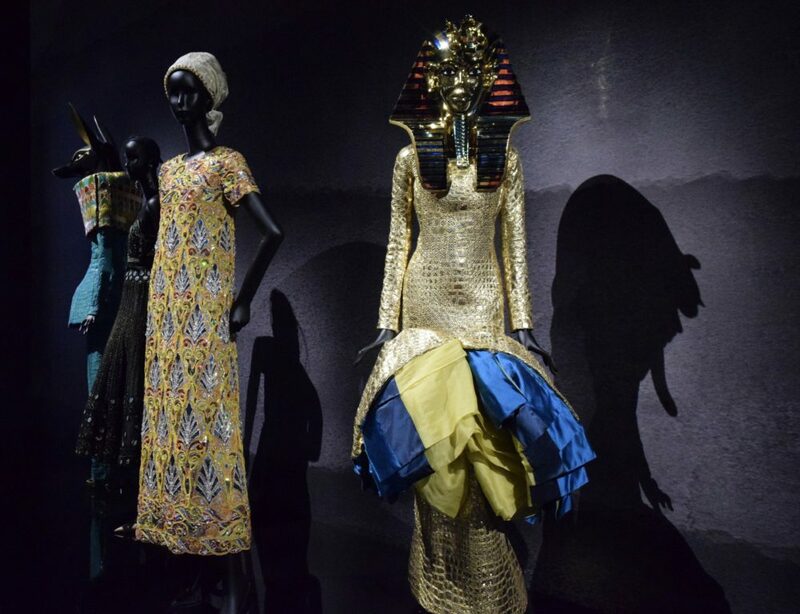 They extended the exhibition and it is now open until the 1st of September 2019. So get your tickets quick. 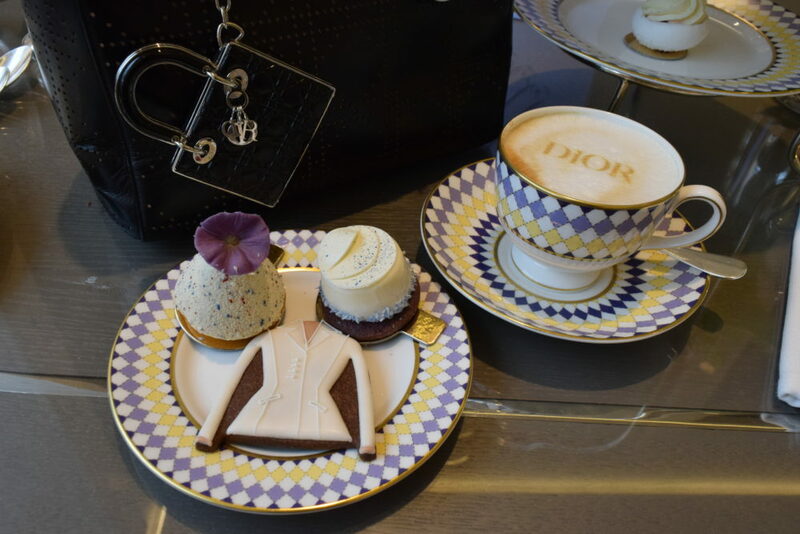 Also there is a DIOR inspired Afternoon Tea going on at The Berkeley Hotel if you want to indulge in the London DIOR Vibe. I was there and will tell you all about it in a different post. 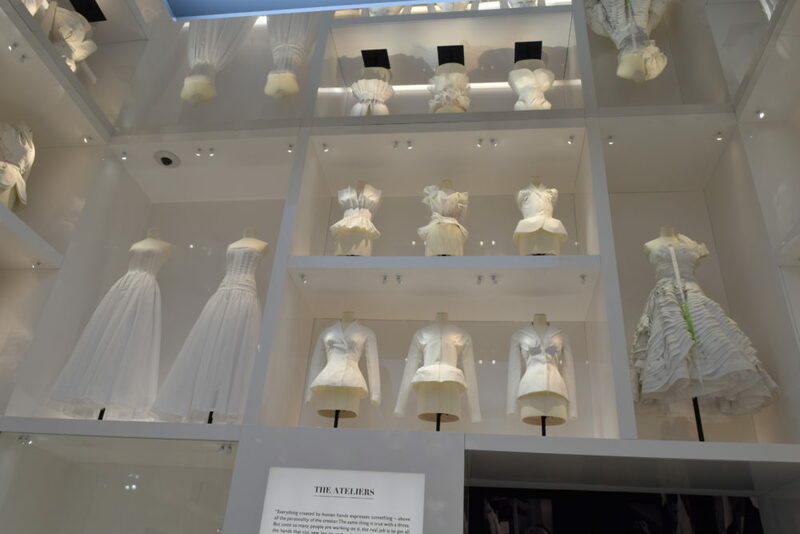 The V&A extended the exhibition with a “Dior in Britain” part, which makes sense. He loved British fashion and he was impressed by the tailors of Savile row. 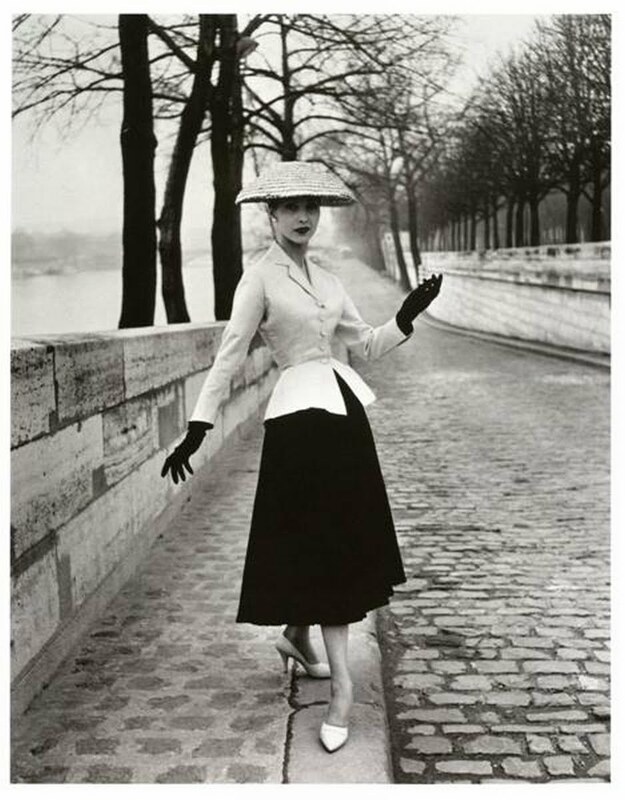 Christian Dior was brought up in the Normandy with a wealthy background. He had been to London several times, first to perfect his english later for “a sensation of happiness and great personal freedom” as he once stated. He loved the english aristocracy, which were later his clients. 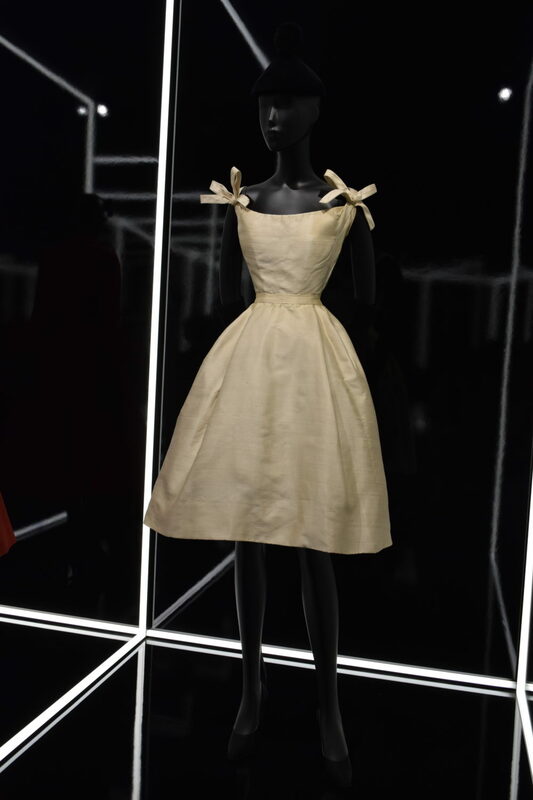 Princess Margaret often was dressed in Dior, she adored his dresses. He understood what the women of the time wanted. The war was just over, there were fabric shorts and the women were fed up with their masculine boxy wardrobe which was the “we need to save fabric look”. 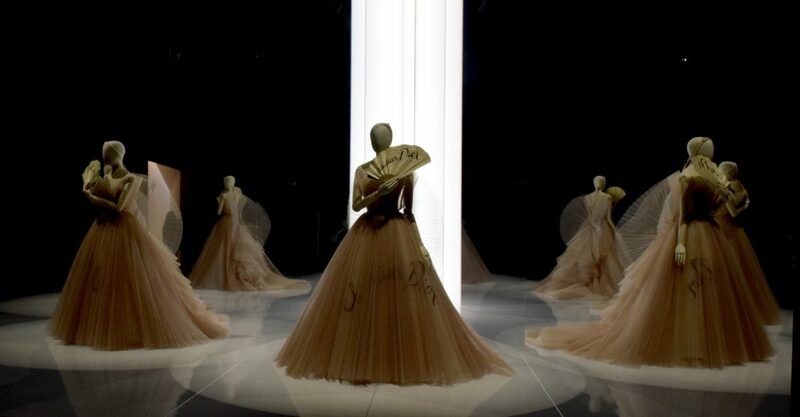 Dior designed a skirt at his fashion show that was made out of 73 metres!!!! It was a black full pleated skirt with many layers that just covered the knee. The lower part of the leg was free and there was a spotlight on the ankles and shoes. The top part was a white fitted blazer with a wasp taille. And the NEW LOOK was born. 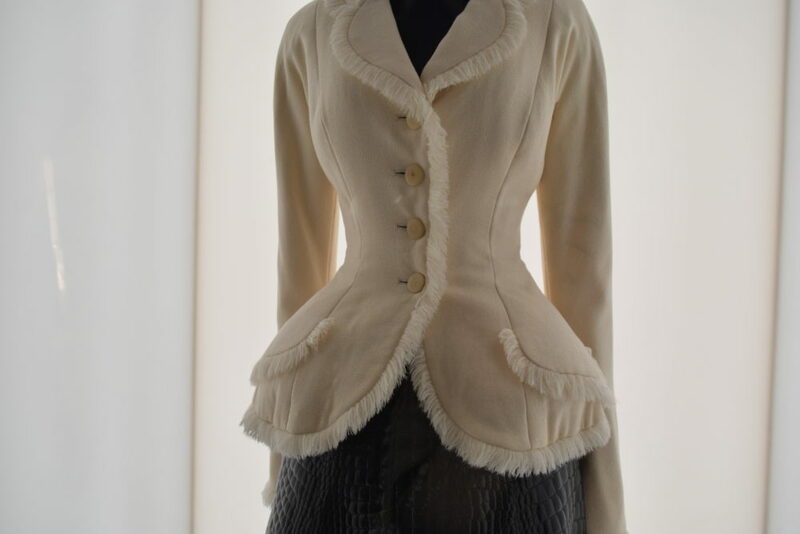 The women loved the idea of luxurious layers of fabric wrapped around them but still flatter their figure with the fitted jacket. 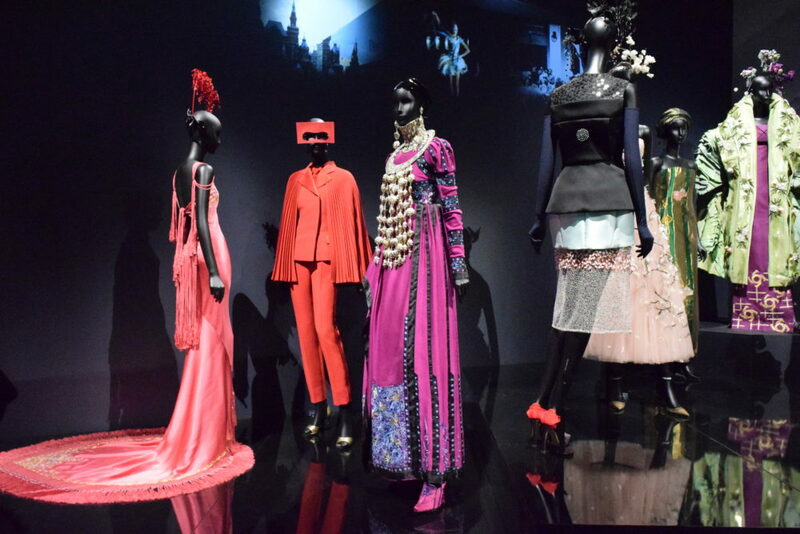 From his debut in 1947 to his death 10 years later he designed 22 collections each with over 90 looks. His new hemlines, waists & busts were hugely discussed in the fashion press and his shows were hotly debated. 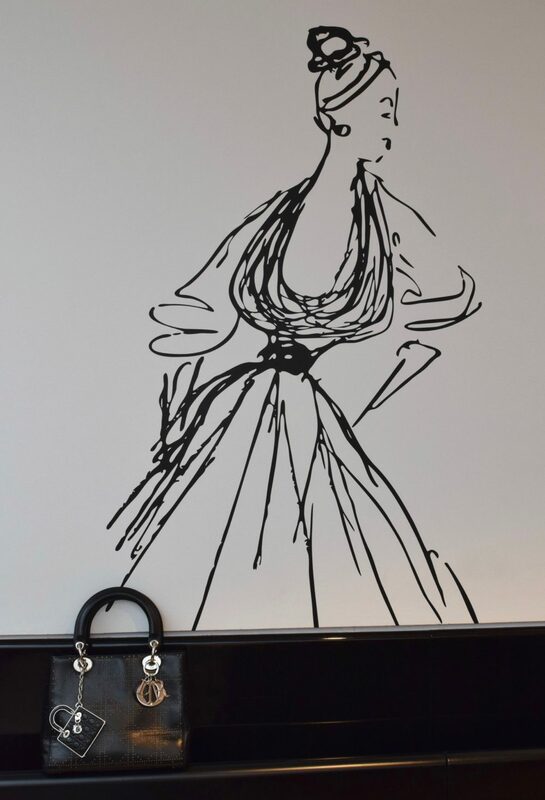 Dior sketched everything with a pencil. 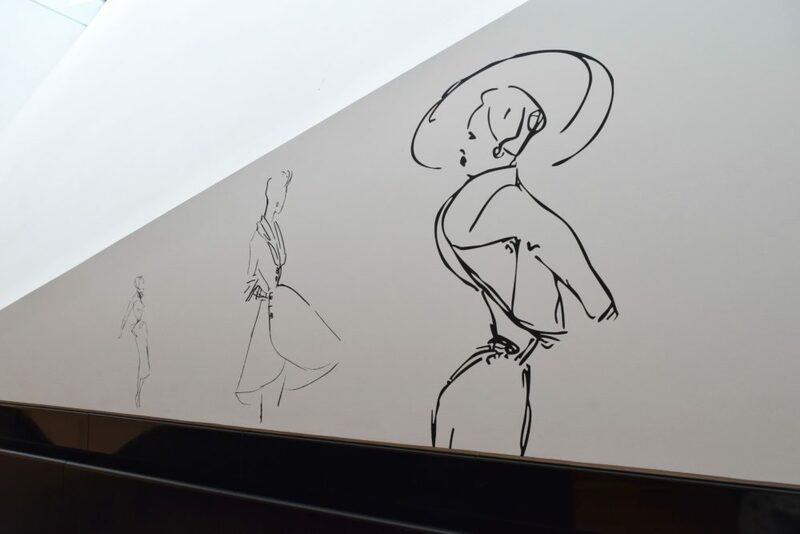 These sketches and drawings were of course also a huge part of the exhibition. I will show you a few here. My black Lady Dior is blending in nicely. 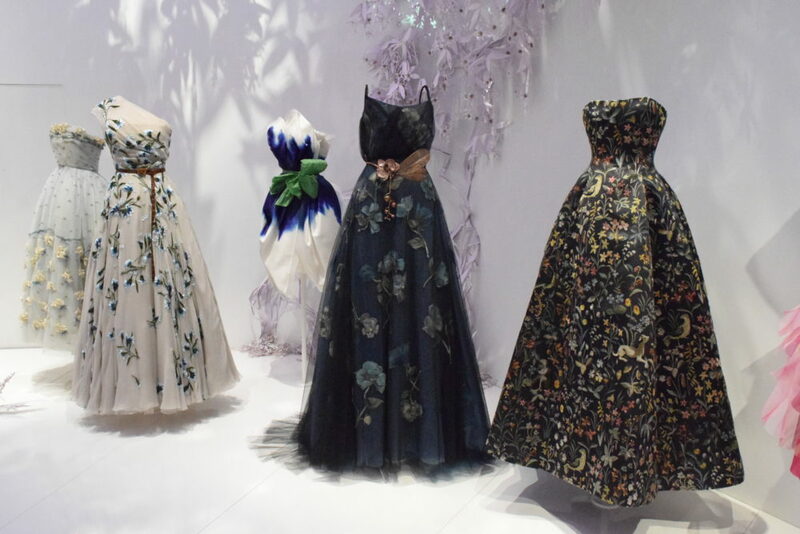 Dior named his dresses after the cities or countries that he was inspired by. 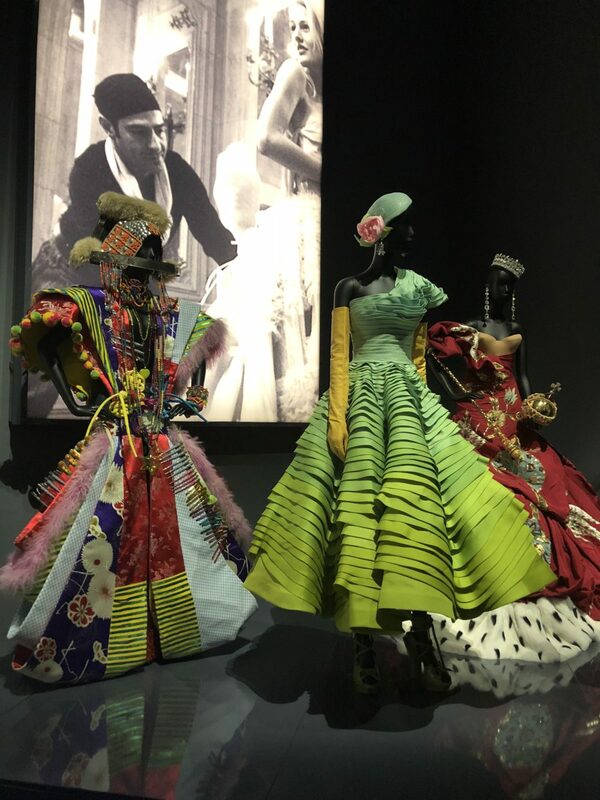 Each of Dior’s later creative directors were interpreting travel ideas in their own way which could be seen in embellishments, embroideries or other decorative details. Travels were another part of the exhibition. He was travelling a lot in his twenties to Greece, Turkey, the UK, Mexico, Russia and the Balearic islands while he recovered from an illness. 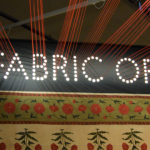 During this period he collected all sorts of ideas and was inspired by the different architecture, textiles and art. Later the designers who continued the label after his death were drawing inspirations from these countries as well. 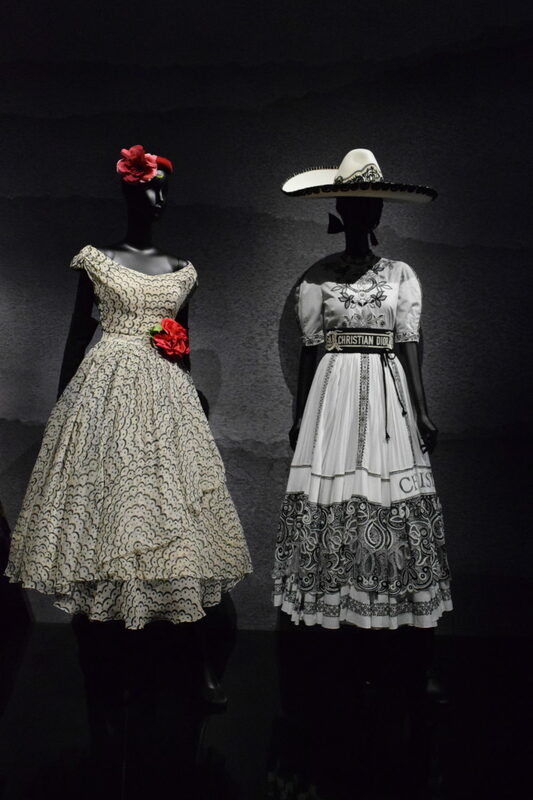 Maria Grazia Chiuri ( Dior’s current designer ) was featuring Mexican inspired dresses in the 2019 Cruise collection. 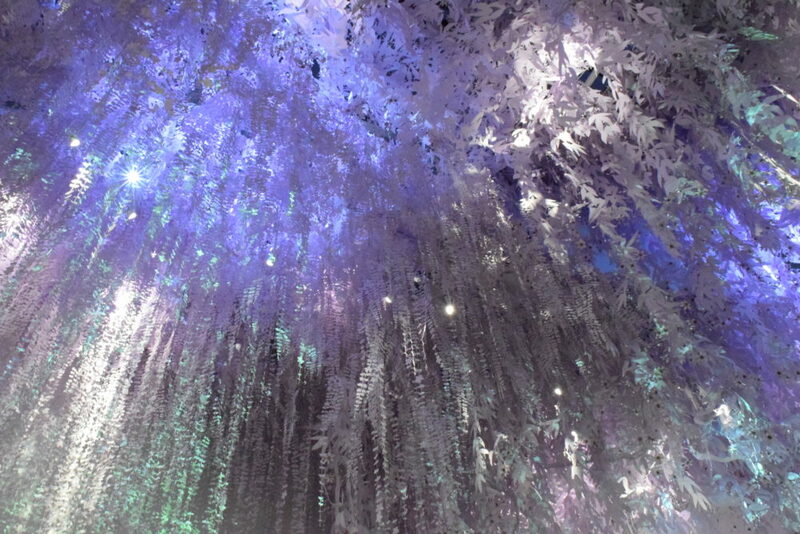 Garden was the next big topic and was displayed in another room. 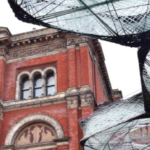 Before I tell you more about this part of the exhibition – I need to show you the setting…. 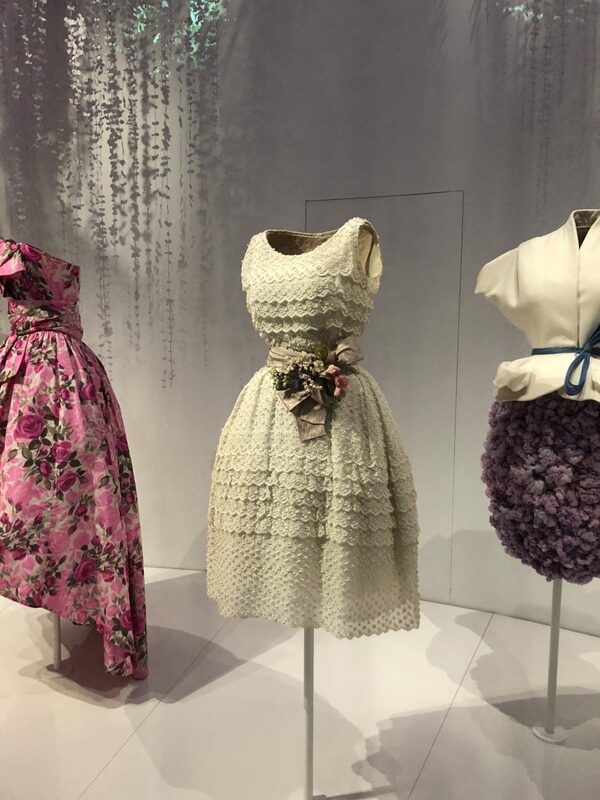 GARDENS were something that fascinated Dior. He loved to study plant catalogues and was often around flowers in their big family garden in Granville that overlooked the sea. He also enjoyed to sketch outside in the garden. 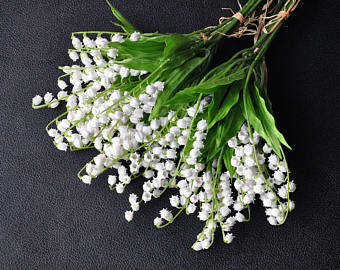 His new Look was inspired by the shape of an inverted flower, so that’s where it all began for him. You can see the importance of flowers here. 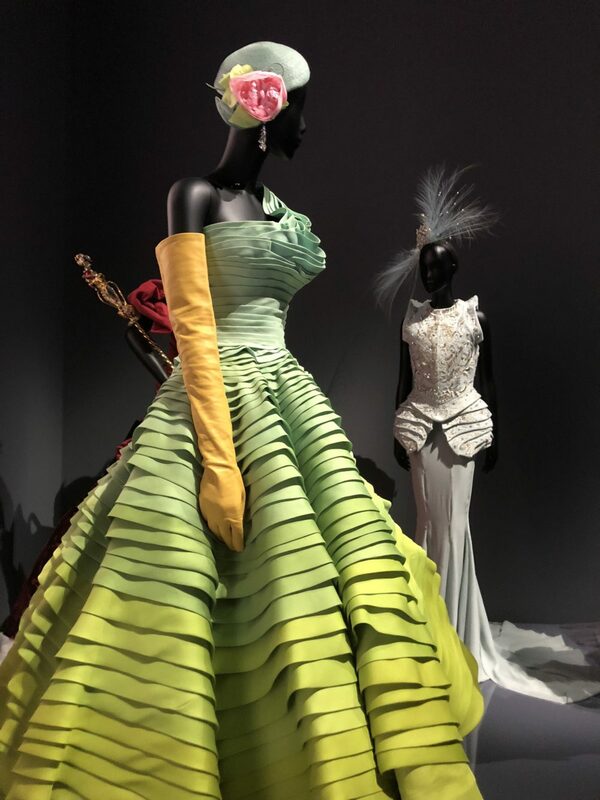 Not only his NEW LOOK was iconic, as we can see his love for flowers and how heavily he decorated his stores and fashion shows was quite futuristic. In London all the hip & hyped cafés & shops at the moment have flower walls or at least a flower entree for the perfect instagram shot. 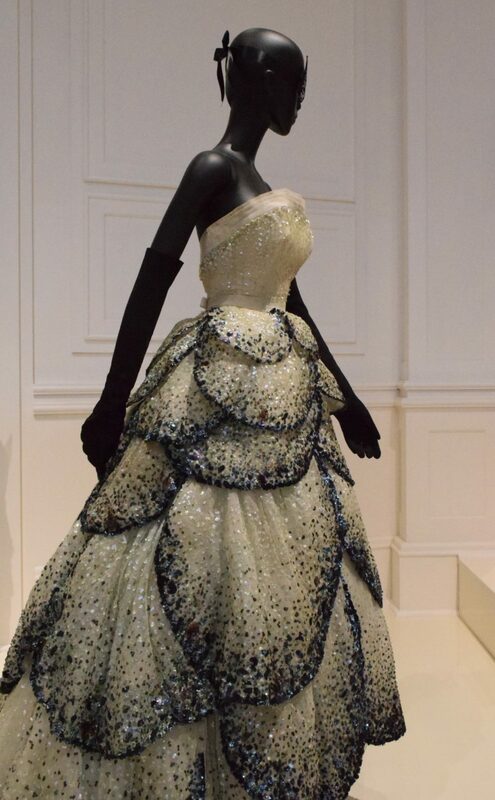 Dior was quite a visionary. 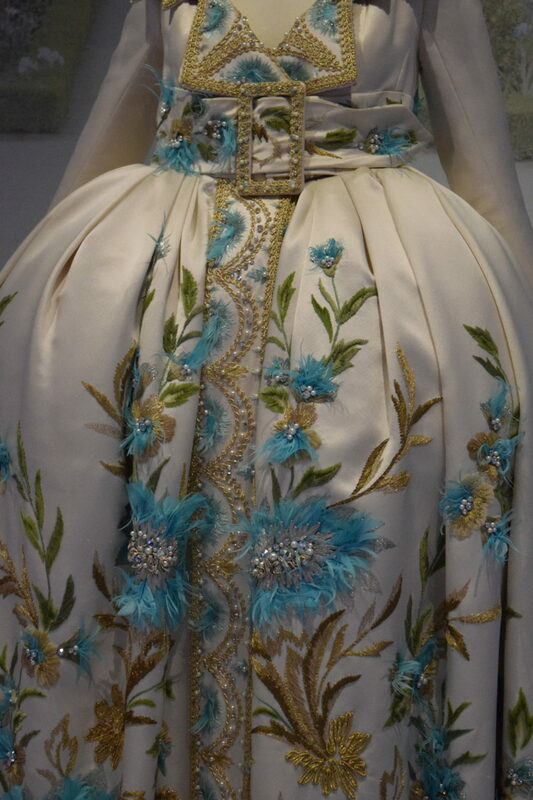 look at this flower embellishment and the embroidery…. 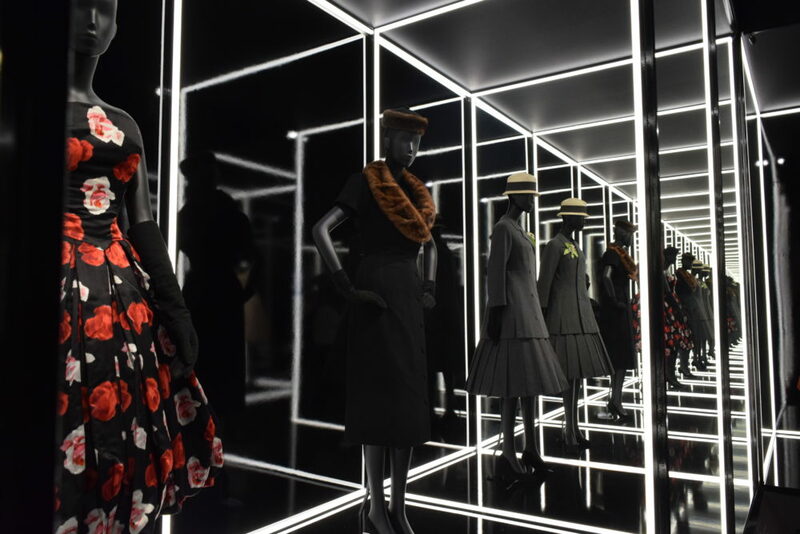 After Dior had passed many creative directors climbed in his footsteps and kept the label going and even emerged it to the next level. 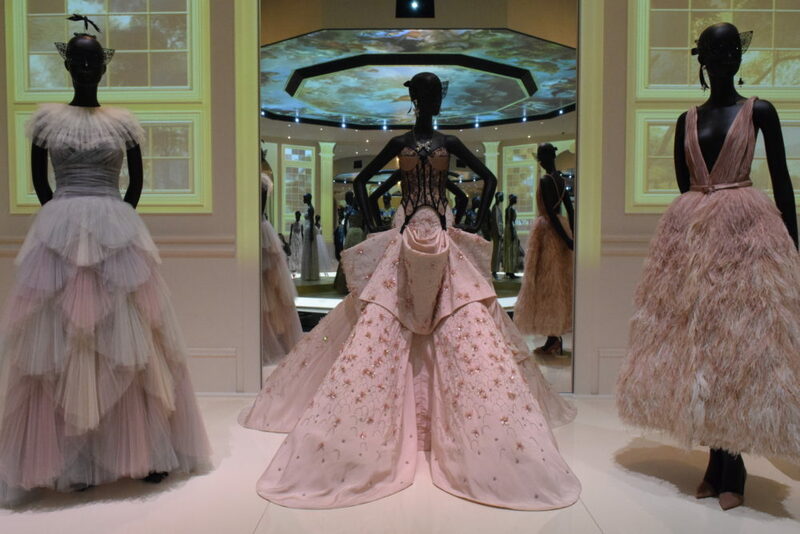 They gave Dior a twist here and there and at the same time tried to continue the legacy of Christian Dior. 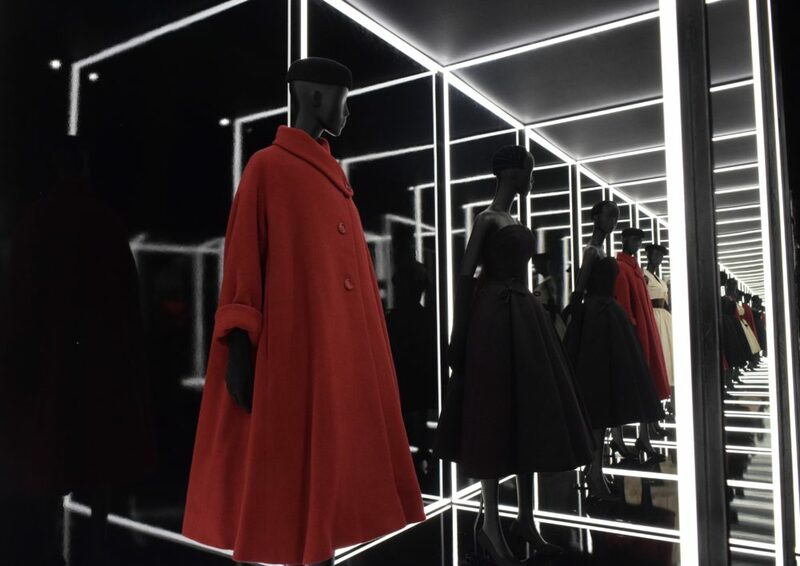 From 1957 – 1960 Mr. Yves Saint Laurent ran the creative department at Dior. He was just 21 when he was appointed to do the job. His first collection was a huge success – it was called the “line trapeze” ( Trapeze Line ) which was a whole new and more modern silhouette with an emphasis away from the waist. 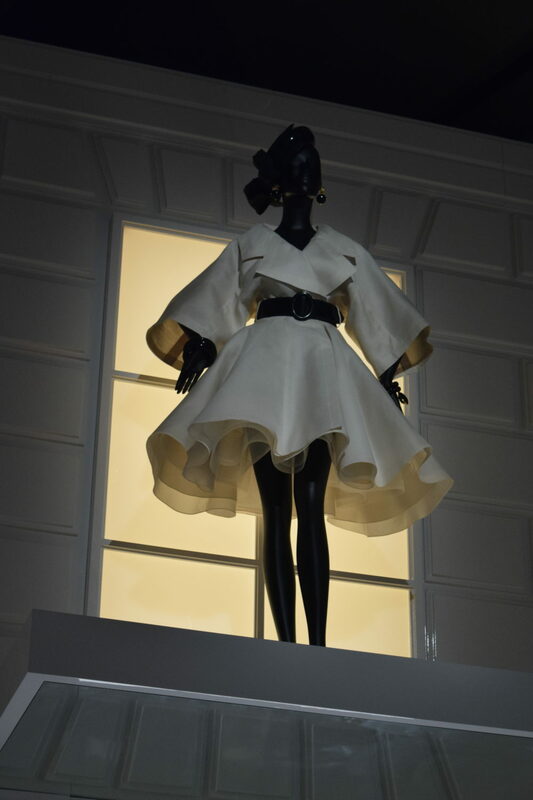 His 1960 collection was called “The silhouette of tomorrow” where he showed skirts worn over trousers and geometric cuts. For his final collection he was inspired by the streets which was quite radical for an haute couture collection. He showed fitted black leather jackets over turtlenecks with slim waistlines. From 1961 – 1989 Marc Bohan took over from Laurent. He was the longest serving designer at Dior. His credo was “N’oubliez pas la femme” ( Don’t forget the woman ) which made him very successful. He made cloths that women loved to wear. In his first collection he presented his slim look and clients like Elizabeth Taylor ordered 12 dresses straight away. 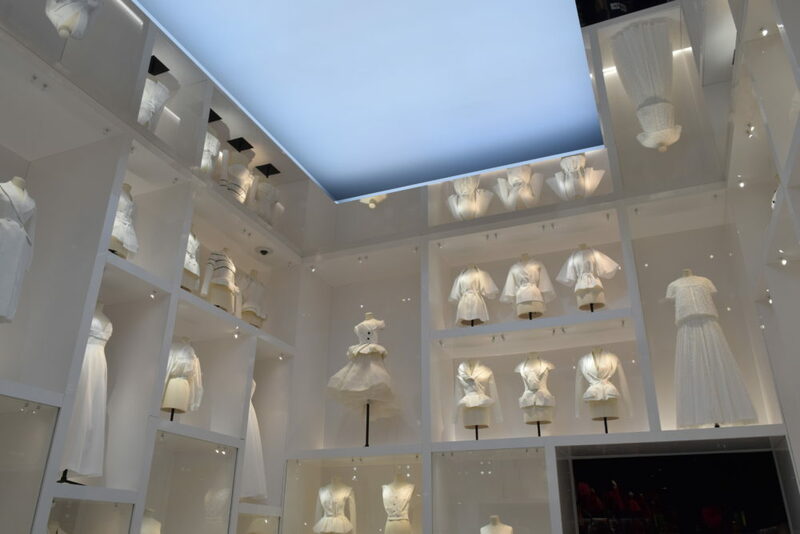 He managed to keep Dior’s DNA and just modernized it to fit the needs of his contemporary clients. 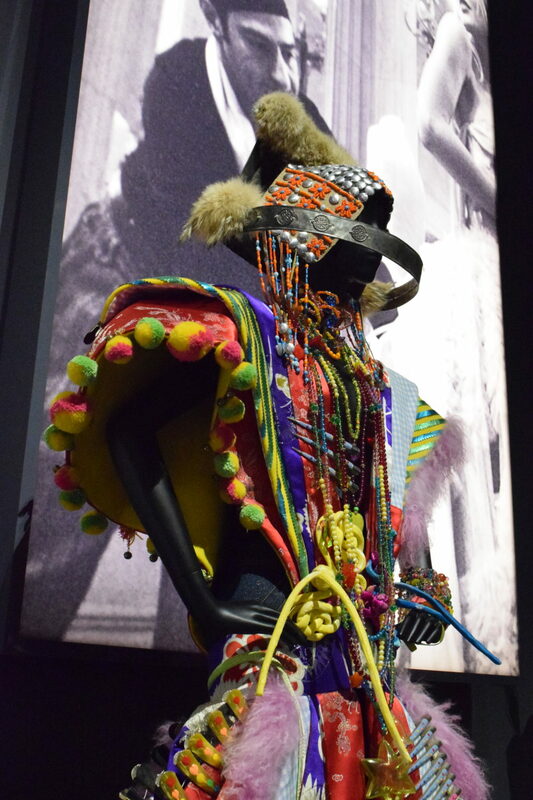 Bohan steered the House of Dior through cultural shifts and decades but always found a way to match the Zeitgeist. Ferré was Head Designer for Dior between 1989 and 1996. Before that he launched his own fashion line in 1978 after he was originally trained as an architect. 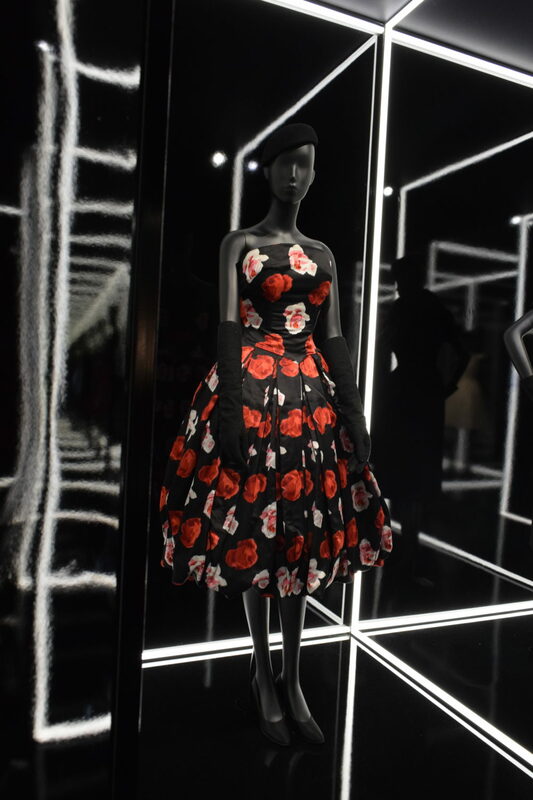 Bernard Arnault purchased the company five years before he started but he was the first designer under Arnault to take DIOR into the next era. 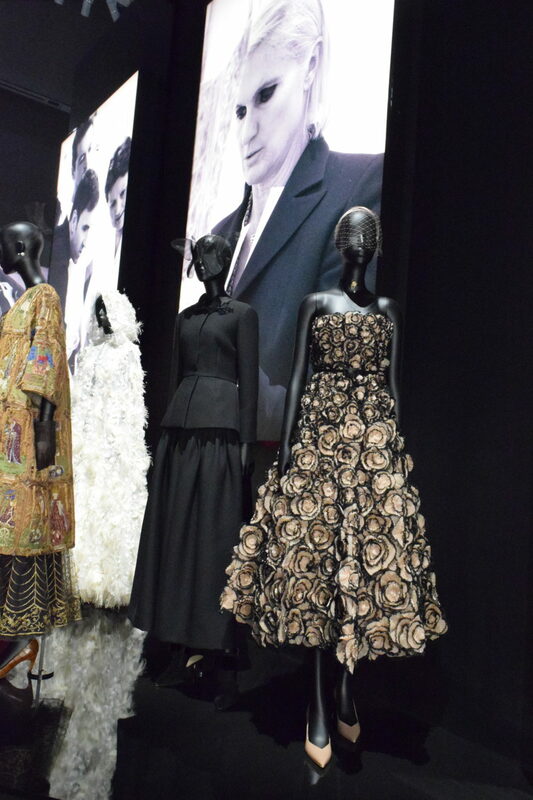 Ferré did extravagant designs for Dior which originated in his deep appreciation for textiles & materials. That led to large skirted ballgowns in the “NEW LOOK” style with nipped in waists. 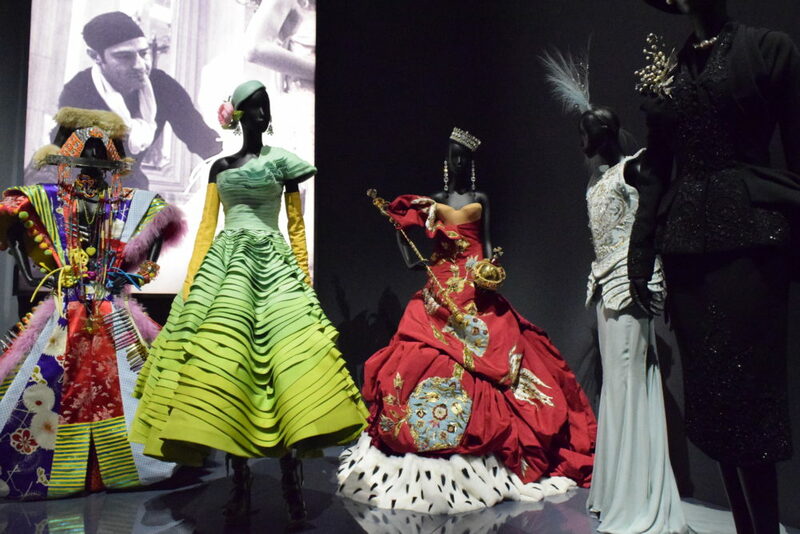 1996 – 2011 Gibraltar born Londoner Galliano designed for the House of DIOR. 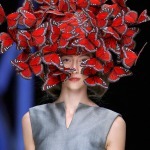 His first haute couture collection fell into the year of the 50th anniversary of the New Look which was even more special for the fashion world. 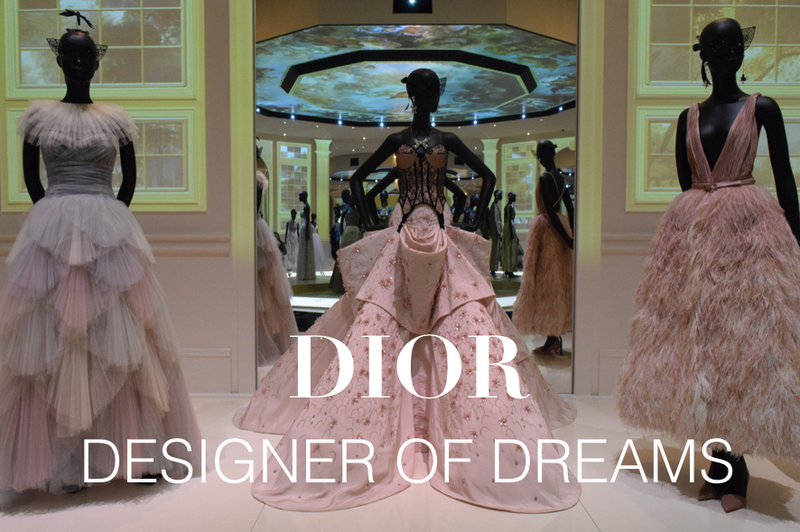 He completely transformed Dior and gave it a whole new context. 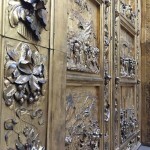 His designs were over the top and you could even say they are not from this world. 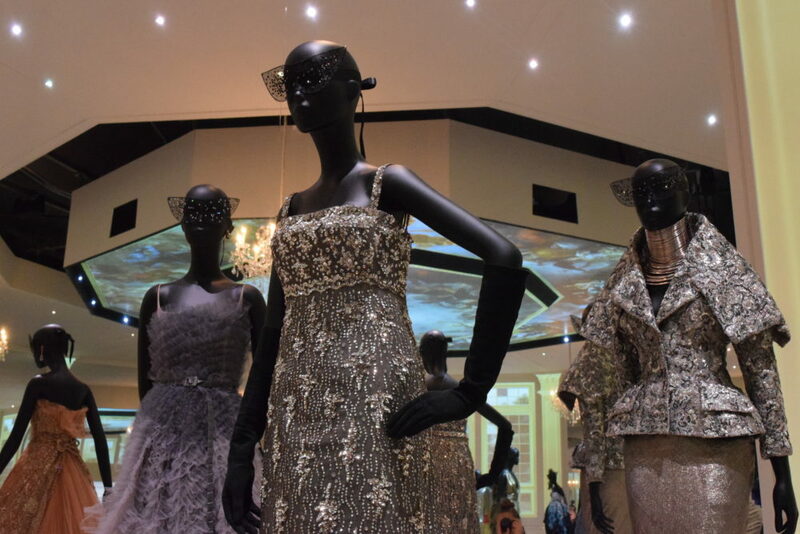 He travelled excessively with his design team and he researched tremendously to create these unbelievably creative designs which gave haute couture a different content. 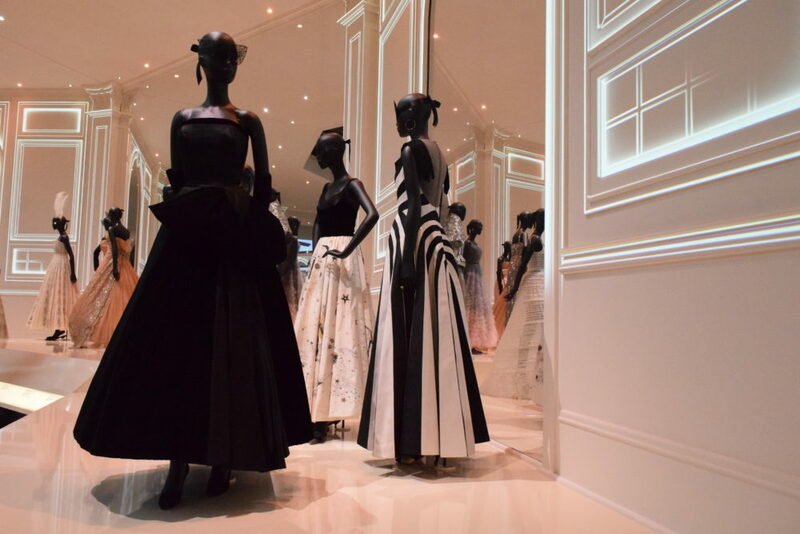 2012 – 2015 Simons, the graduate of the royal Academy of Fine Arts in Antwerp joined Dior. He is known as the master of minimalism and was the exact counter part of Galliano from who he inherited the position as creative director. Simons focussed on cuts and lines and added femininity and romanticism. 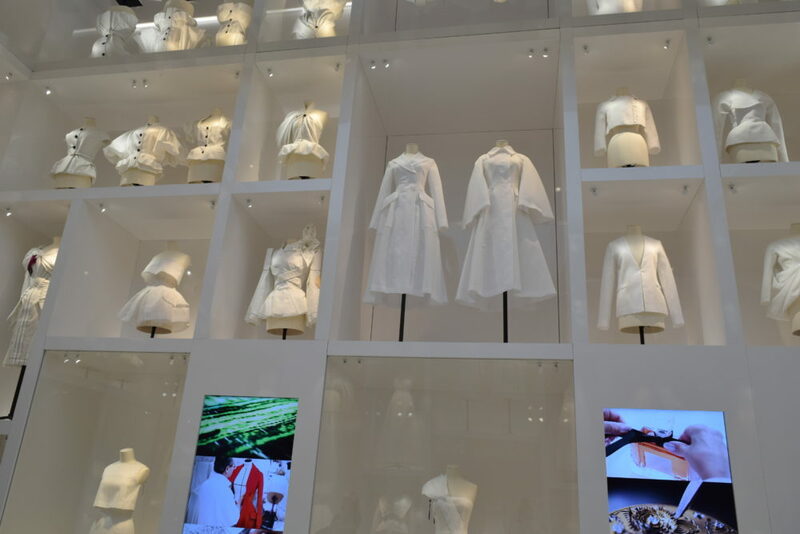 Chiuri leads the design for Dior since 2016 and is the first female designer they ever had. She caused quite the scene with her debut ready to wear collection in which she designed t-shirts with the slogan : “We should all be feminists”. She referred to an essay from 2014 Chimamanda Ngozi which impacted her massively. She feels her role as a designer is not only related to the cloth she designs, it is about having voice and creating awareness for things that matter. Chiuri puts the woman front and centre. She is inspired by strong women from the past: explorer Freya Stark, author Virginia Woolf and artist Leonor Fini. 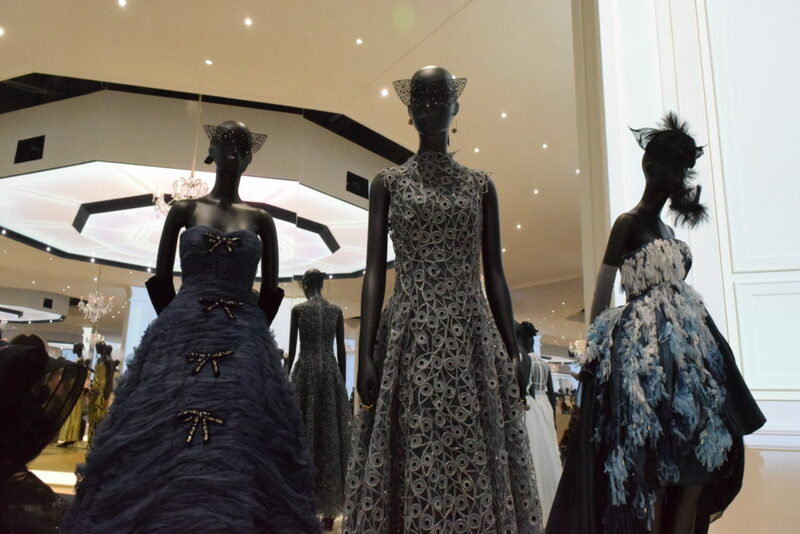 With her approach and her designs Chiuri ensures that Dior is still on the forefront of haute couture. 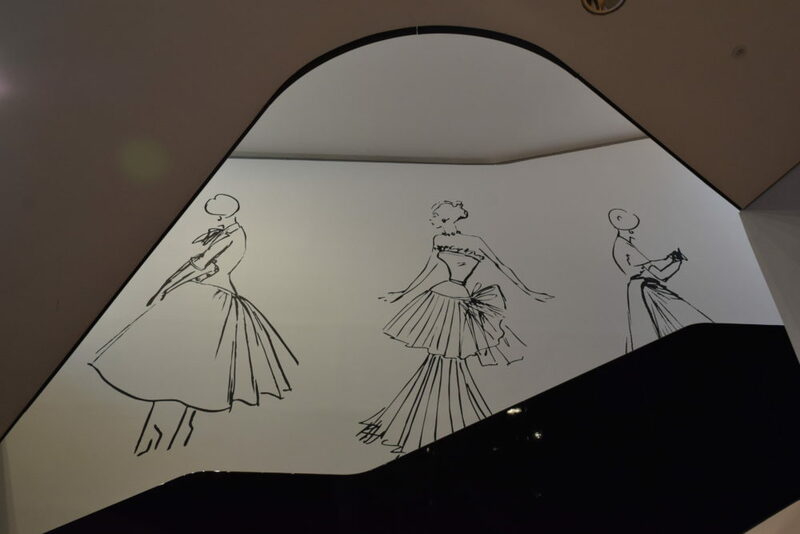 The Ateliers are the heart & soul of DIOR. Thats where the magic happens literally. 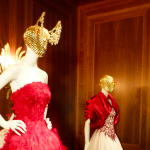 The seamstresses turn ideas and designs into exquisite haute couture garments. 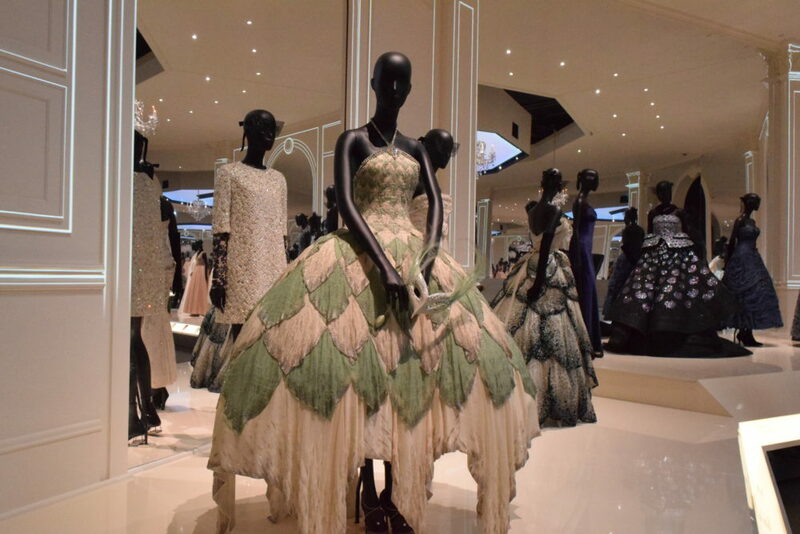 Being an haute couture piece it demands to be made almost entirely by hand, that often means hundreds of hours are needed to complete one garment. 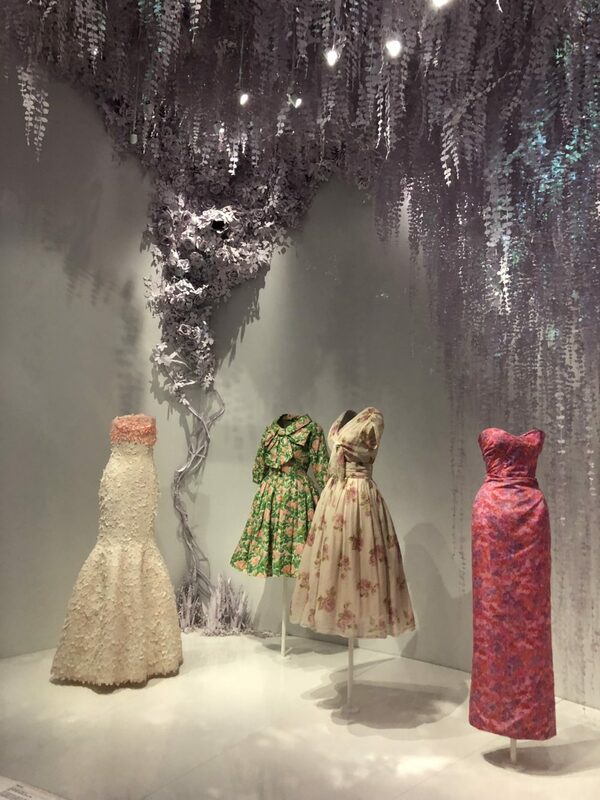 In 1946 Dior set up his house and hired three women to help him oversee the making of his collections. All three women were essential for getting different things done in the chain and they made sure it was done properly, checking every step thoroughly to achieve the highest quality possible. 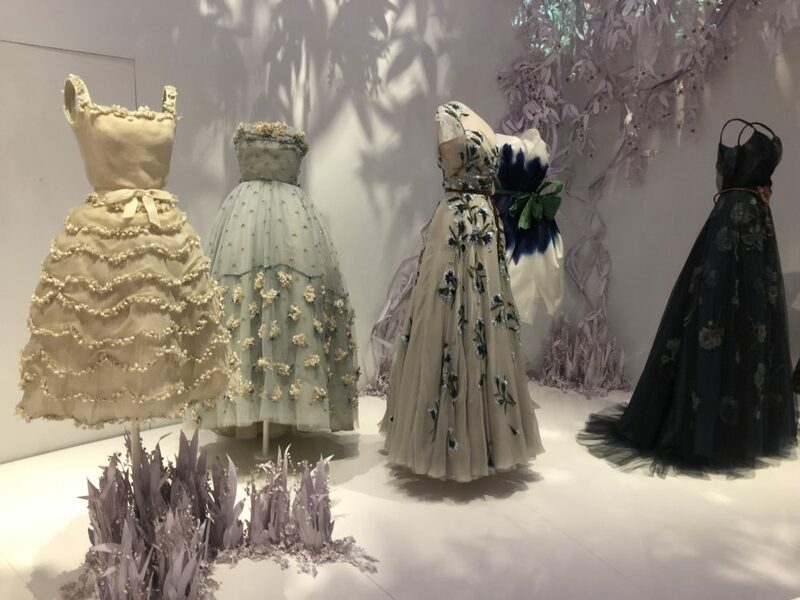 This is where the finished products from the atelier can shine bright, where Dior himself could be the most creative and show off diverse skills in embellishments or embroidery. 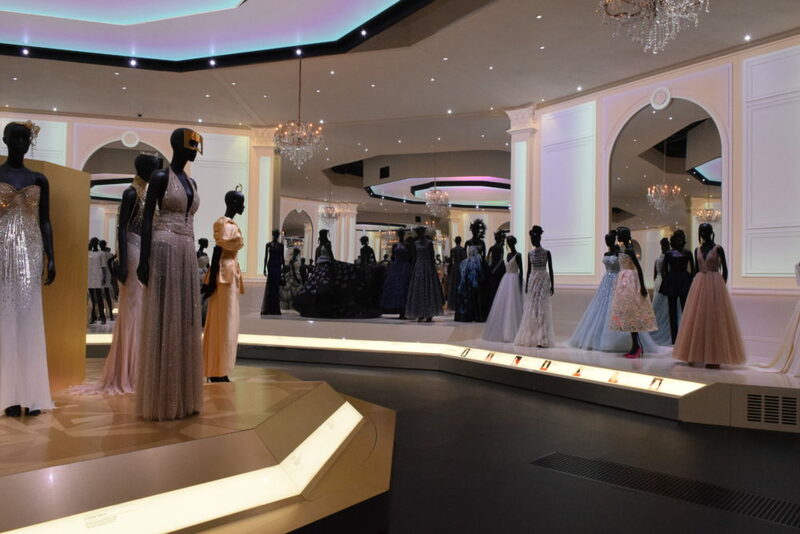 The famous ballgowns of Christian Dior are an essential part of the exhibition and also one of the rooms where I hung out the most. 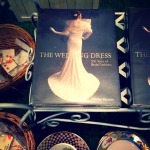 These dreamy dresses were magical and I wanted to try on every single one of them. 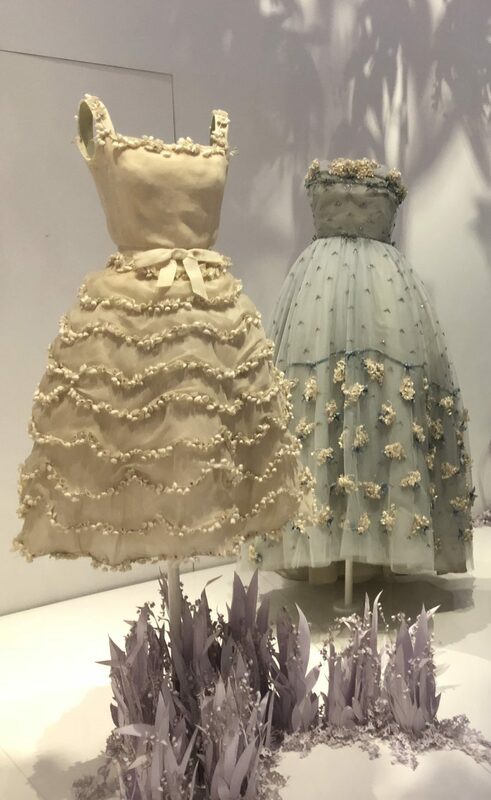 The most famous of all is probably the Junon Dress from 1949 with overlapping flower petals made out of tulle that has been embroidered with thousands of sequins. This is only one example of how decadent he used details & fabrics. 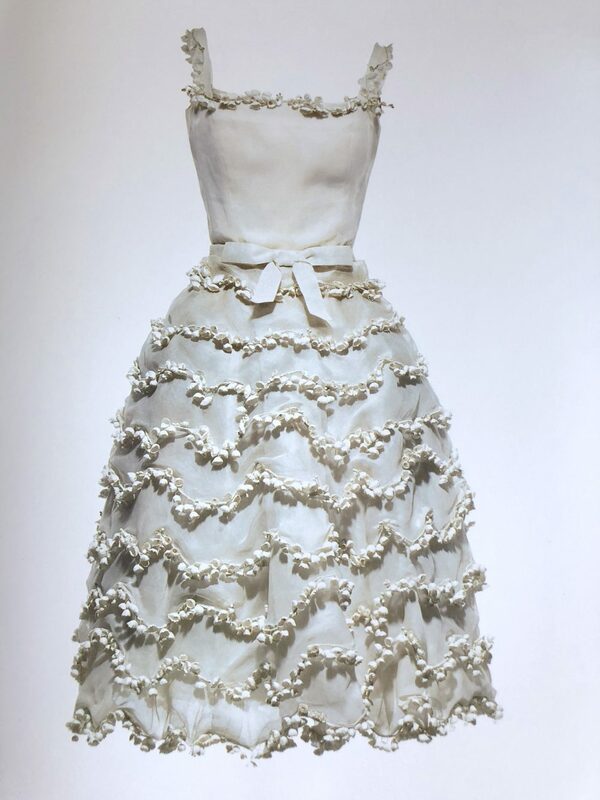 No wonder so many film stars & famous woman chose and still choose creations made by the House of Dior for special events and occasions. Saving the best for LAST. 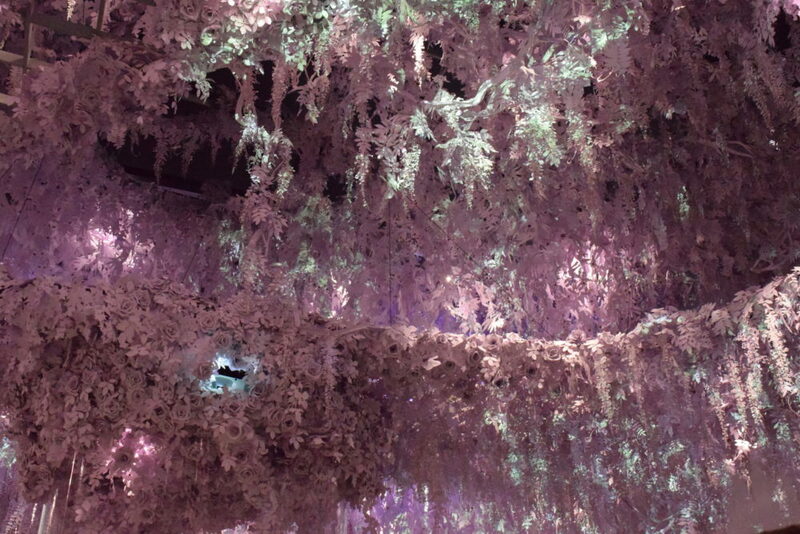 The final room was also quite special! 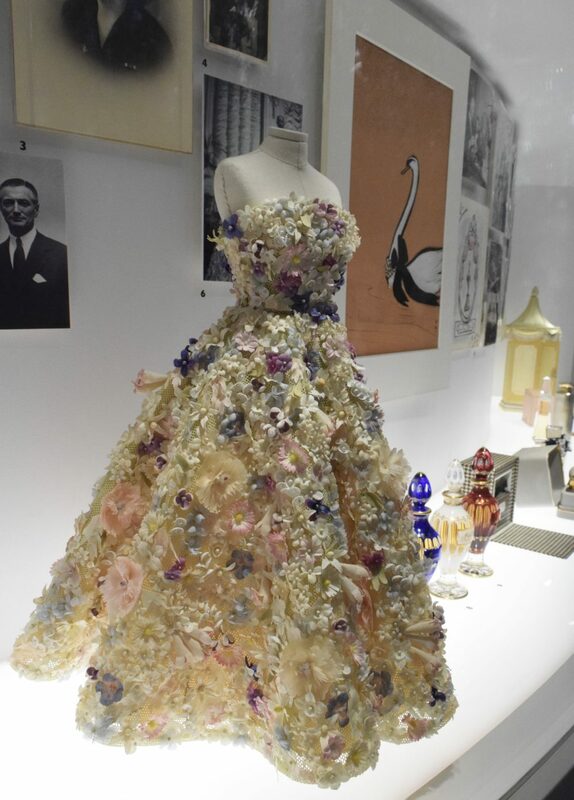 There was one dress designed by Maria Grazia Chiuri. 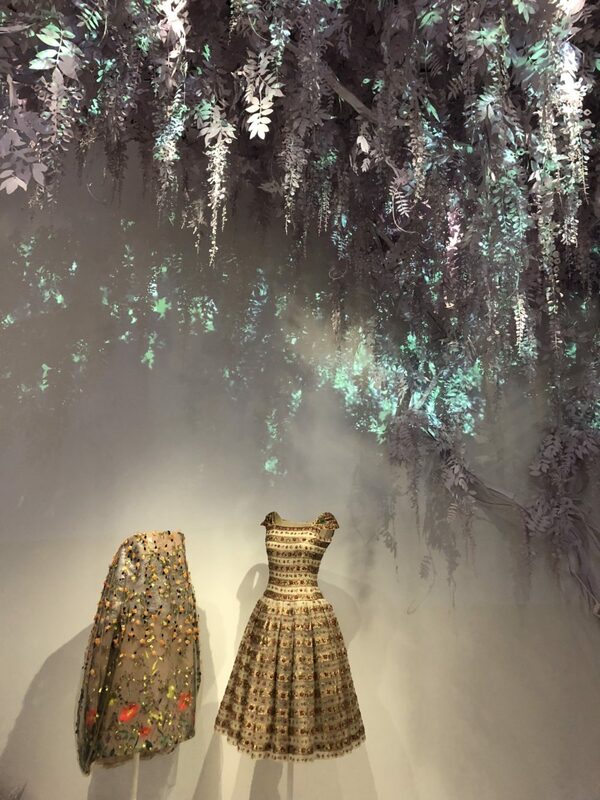 She created it for the Shanghai presentation of her haute couture collection in 2018. 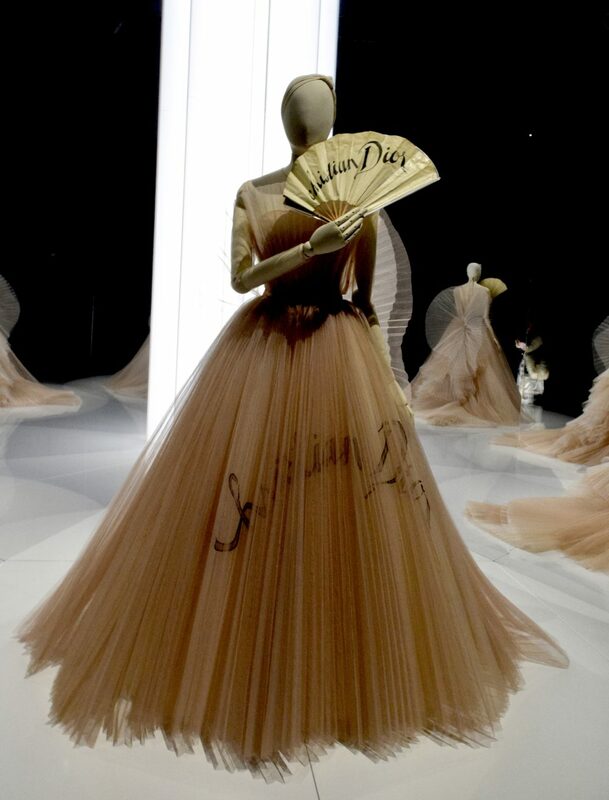 The inspiration was a 1950’s Dior paper fan which she transformed into a dress with layers of tulle. It also had CHRISTIAN DIOR written on it in the original font. 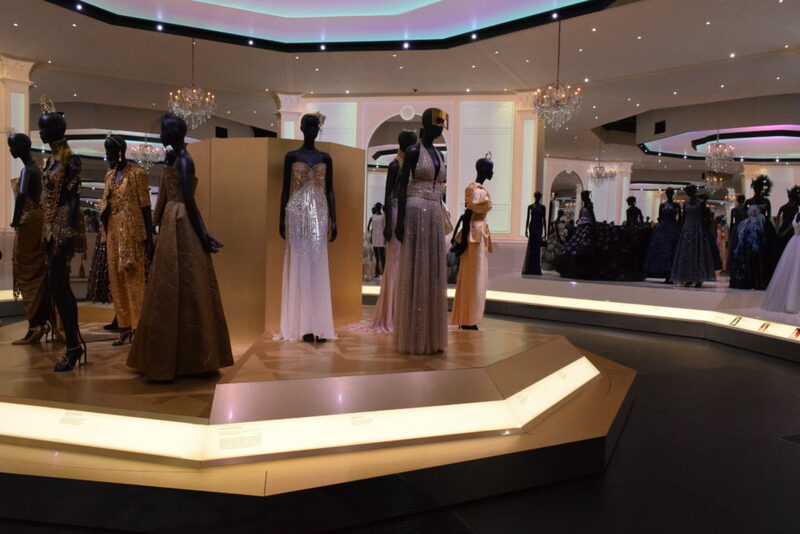 The mannequin was placed in the middle of the room surrounded by lots of mirrors. And the result was divine.